Mitsubishi has recently made a pretty bold move. In an attempt to shake up the already highly competitive world of SUVs, they’ve introduced the updated 2016 Outlander. While not new to this market, in fact Mitsubishi was one of the very first to produce an SUV, they’re all in confident that the Outlander is a top contender. 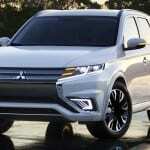 Can it be that Mitsubishi is back and ready to be on top of this every growing crossover segment? It’s certainly worth considering. Already beating out some pretty stiff competition, why not check it out and discover why the 2016 Mitsubishi Outlander is better than you think. In an overcrowded segment offering customers incredible vehicles from a variety of great brands, the 2016 Outlander is catching eyes and turning heads like no one thought it would. Satisfied owners are putting their new 2016 Mitsubishi Outlander against top rated third row SUV’s and the results are exciting. Mitsubishi’s Outlander is beating out the competition which is leaving consumers questioning why would they spend thousands more for a better SUV when the better SUV is thousands less? The 2016 Outlander fits 7 passengers with the coveted third row that crossover drivers gush over. It’s redesigned style and updated amenities has been fit specifically to your needs all in a budget that you can afford. It’s top trim is $35K but you can start at as low as $28K. Everybody is catching on. Your Mitsubishi dealer is waiting for you to, as well. Cars.com recently announced that the 2016 Mitsubishi Outlander was rated top pick as “Most Affordable Third Row Crossovers”. If you’ve ever had to drive or ride in a vehicle with a third row for any length of time then you know how essential the coveted third row can be. The third row proves its worth almost instantaneously and you suddenly aren’t sure how you ever managed without it. If you should be so lucky have or be a member of a large family then you have at some point experienced the necessity for third row seating. The third row provides peaceful transit when separating arguing children becomes necessary. It allows extra room for friends to tag along on summer beach days and trips to the lake. Need extra room to stow away sports equipment and a couple extra players? That is no problem when the third row seats fold flat exposing 34.2 inches of available cargo space. Undoubtedly, you will come to appreciate the luxury that the third row provides and no monetary value can be placed on such a gift. Ways to improve our gas mileage is something that is ever present in our lives today. Families are having to budget more wisely in order to spread their dollar. No one wants to be actively spending more on gas or fuel economy than they have to, which is why its nice to know that the 2016 Outlander is watching our back and keeping fuel economy an ever present issue in their minds as well. With a combined EPA rating of 27 mpg, the Outlander provides a fuel economy that is both impressive and practical. No families should have to compromise their well being because transportation is becoming too expensive. As the least expensive 7 passenger crossover price at the base model starts under $25,000. Consumers can drive away in a brand new 2016 Mitsubishi Outlander for just $23,845. The GT models which come with four wheel drive and the new V6 engine will start at $31,845. The GT is also available in the Touring package capping at just over $35K which has navigation, forward-obstacle warning, adaptive cruise control and lane departure warning. An in between, split the difference model is available in the SEL edition that comes with a $1900 premium package including moonroof, Rockford Fosgate sound system, satellite radio, power tailgate just to name a few perks. This Outlander is priced at $27,745. Earning top safety picks three years in a row, there is no reason to believe that the 2016 Mitsubishi Outlander won’t earn it for another year. Equipped with seven air bags and passenger weight and front seat position sensors, improvements in safety technology are showing up. Anti-lock braking system with electronic brake-force distribution and brake assist, hill start assist, active stability control with traction control logic and a tire pressure monitoring system all prepare the 2016 Outlander for the best in safety features. When Mitsubishi recently hired Tsunehiro Kunimoto to redesign the Mitsubishi look, the first thing he set out to do was give Mitsubishi back an identity. Brand them with a specific look that is identifiably ‘Mitsubishi’. Starting with the 2016 Outlander, Kunimoto has introduced “Dynamic Shield” which is going to be the new look of Mitsubishi. As the most recognizable part of a vehicle, the front grill and fascia will receive the updated look from Kunimoto. The fenders which will be the same as the body color, project an image of safety. It is from these two features from which Kunimoto got the name “Dynamic Shield” from. ‘Dynamic’ from the ruggedness of the front grill and ‘Shield’ taken from the protection the fenders provide. So what does this exactly look like? The front grill stretches to around the sides of the vehicle. A bold and aggressive look from an all black grill is highlighted with chrome outlines. This style will carry on to other vehicles in the same nameplate and will become part of a cohesive look to give Mitsubishi back its recognizable brand. With 31 specific improvements done to quell the noise of various grunts, growls and clanks that larger vehicles have been known to make, the noise of the 2016 Outlander is at best a soothing lull. It’s so quiet, you could listen to your favorite Bon Iver album on low and still hear every whisper coming from the 6 speaker 140 watt audio system. Enhancing the deal are features that add to the appeal and frankly, you won’t be able to get enough of: automatic climate control, tilt and telescopic steering wheel. Keeping safety a top priority, A FUSE link system provides handsfree services. A USB port, LCD full color multi-informational display and two 12 volt power outlets ensure any child or adult will never run out of power or entertainment for those long rides. There are 50/50 fold flat third row seats and for when you can’t fidget your keys out from the bottom of your purse, remote keyless entry. Auto off halogen headlights that now feature LED park lights and round fog lights placed at the lower end frame out the front bumper. LED park lights also appear on the rear lights as well. Heated outside mirrors add a great features in the colder climates. Safety features on the SEL and GT models include forward collision mitigation, lane departure warning and adaptive cruise control. Hill start assist, active stability control with Traction Control Logic (TCL) come available in the base model. When you consider crossovers like the 2016 Outlander, why should style, size and price be compromised when they are all afforded on better and newer models? Improvements in safety features and technology still rank highest in importance by consumers in new vehicles. Today’s consumers are more savvy now than they’ve ever been. Given the competition, they’re allowed to be as selective as they want. Mitsubishi knows that combining the can’t-live-without third row seating, affordability and the veracity of large SUV’s that the 2016 Outlander becomes the best answer for your family.